subject to such filing requirements for the past 90 days. Yes [X] No [ ]. securities under a plan confirmed by a court. Yes [ ] No [ ]. Not applicable. 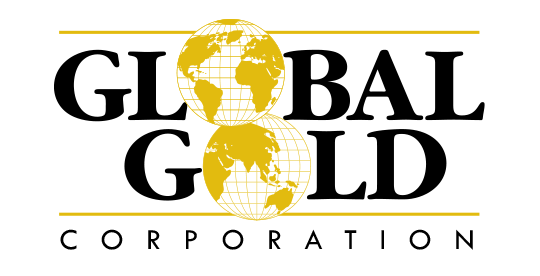 operations as Global Gold Corporation, through September 30, 2003.
results to be expected for the full year ending December 31, 2003.
have been prepared  assuming that the Company will continue as a going  concern. acquire a property  (whether  unproved or proved) are capitalized when incurred. rata portion of the unamortized acquisition costs. existing  contracts as well as new  contracts  entered into after June 30, 2003. Instruments with  Characteristics  of both Liabilities and Equity" ("SFAS 150"). issued under the 1995 Stock Option Plan as of September 30, 2003. The Company entered into Amended and Restated Employment Agreements with Messrs.
dated as of February 1, 2003 for a term through June 30, 2006.
expense for the nine-months ended September 30, 2003 is $83,333. September 30, 2003 is $112,132. as a separate component of stockholders' equity. resulting in a gain on the sale of $37,410. shares for net proceeds of $43,672 resulting in a gain of $1,207. consummated as of the date hereof). to be issued under the PPM. transferred on May 28, 2003.
during the 37-month period ending June 30, 2006. Capital, which provided advisory services. assurance of the outcome thereof. of copper and gold  properties in Chile for a total  purchase price of U.S.
collectively as the Santa Candelaria mine. any other entity which may hold rights to such mine. copper and other minerals on the property, if any. of the Company, the Company is recording payments as they come due. to conduct business in the State of Connecticut. of U.S. $28,355. The work was completed on July 25, 2003.
vest ratably during such period. agreement is for sixty days and is renewable. resulting from project development in Armenia and Chile. development of projects in Armenia and Chile. $187,711 consisted of cash or cash equivalents. proceeds for working capital purposes. in any exploration project undertaken in Armenia. 2003 and does not expect to purchase or sell any plant or significant equipment. The Company hired one additional full-time employee on June 1, 2003.
for a total purchase price of $50,000. of $25,000 was returned to the participants. earned and vest ratably during such period. property prepared by Geo Explo LTDA. was delivered to the Company. geochemical rock sampling, outcrop observations and magnetic surveying. All samples  collected were sent to Acme  Analytical  Laboratories  S.A.
Santiago, Chile for fire assay analysis. wholly owned subsidiaries of Global Gold Corporation. listed on the Exhibit Index. September 23, 2003, under Item 4 of Form 8-K.